It's clear to us that if we all do our part...with the planet at heart...we will have cleaner air, water and earth . How do we do that? It's not as hard as you think. Grab your bin and let's jump in! Have you ever wondered exactly what you can Recycle and what you Cannot Recycle? Bottles, cans, paper, cardboard, batteries...can all be be recycled or reused. 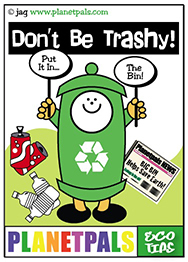 Check your town to see what items you can recycle and how. 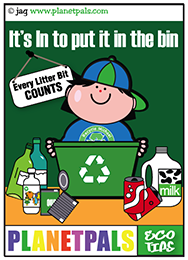 Then help your family take those items to the recycle drop off center, or use curb side recycling when available. Also, seeour suggestions below! 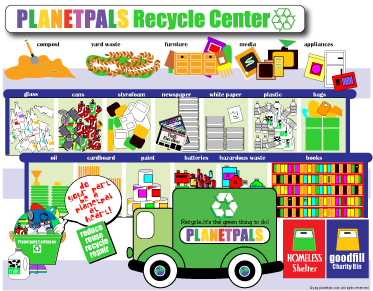 In many cases, the recycle center is not just a place to drop off things that can be recycled to make new items, but a place to dispose of things that are not biodegradable, so they can be disposed of in a proper way. 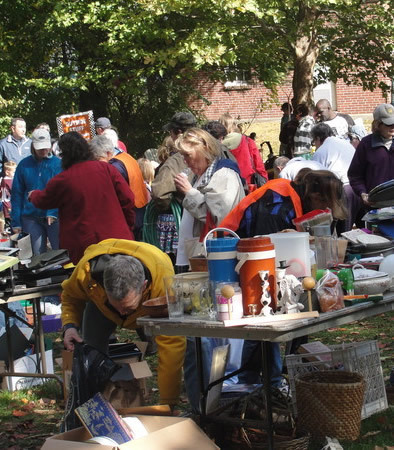 Some things can also be brought in to be exchanged or donated, this way they can be reused by someone else. Beside our daily household items like plastics, glass, paper, we can recycle most items successfully by reusing them or their parts. Things like cars, building materials, toys, paints, clothing and so on. 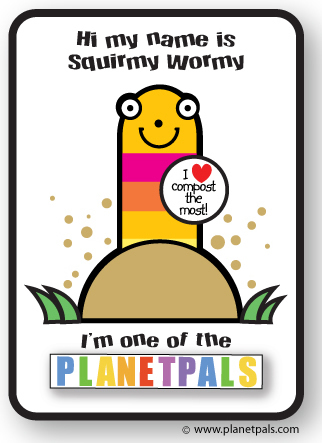 We can recycle organic materials like yard wastes and leftover fruits and vegetables by making a compost and using compost to fertilize our garden. Many great things are made from recycled materials. For instance, glass makes new glass, plastics makes new plastic and so the cycle goes....that's why it is called recycle! Learn about Up-cycling and Down-cycling, too.